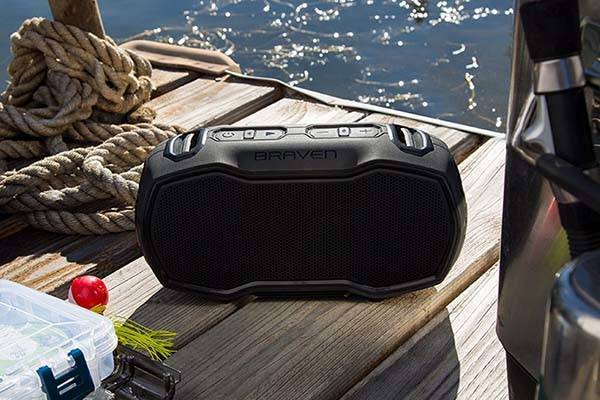 Braven Ready Elite waterproof portable Bluetooth speaker has been ready to stream your favorite music during any outdoor activities. Like the idea? Let’s have a look. Braven Ready Elite is a powerful and portable wireless speaker that weighs 5 pounds. As we can see from the images, the speaker shows off a low-profile and rugged appearance design, and its IP68 certification makes it completely waterproof, dustproof and debris proof, so the Ready Elite endures the dangers of wet, muddy and sandy environments. The compact form factor allows you to easily carry it for any outdoor activity, and integrated reinforced alloy anchor points let you securely strap it to anything. Meanwhile, the drop-proof thermoplastic housing with an aircraft-grade aluminum grille protect internal components from bumps, shocks and natural elements. 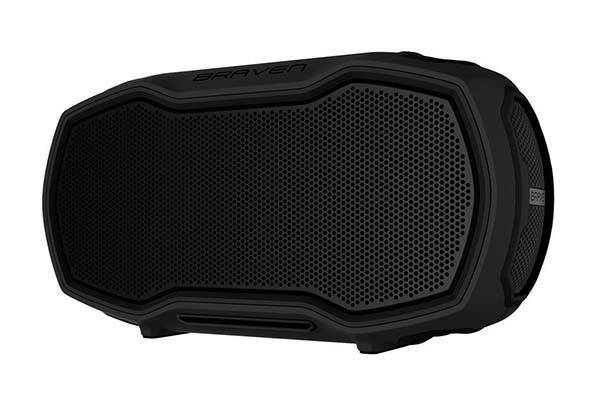 Braven Ready Elite waterproof portable Bluetooth speaker comes equipped with two large, extended range drivers, dual tweeters and two subwoofers in order to produce loud, clear and balanced wireless stereo audio with deep bass. Furthermore, its custom app allows you to customize your audio playback, and you can pair two Ready Elite units for an more immersive stereo audio experience. Moreover, using built-in noise-cancelling speakerphone, you can directly access to the voice assistant from your smartphone or make handsfree calls with ease. The built-in 5200mAh rechargeable battery offers 12 hours of playtime, and it serves as a portable power bank to charge your mobile devices. 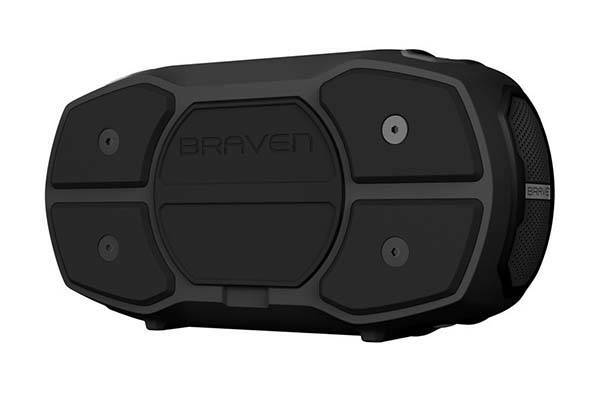 Braven Ready Elite waterproof portable Bluetooth speaker s priced at $299.99 USD. If you’re interested, jump to here for its more details.